Not taking performance testing seriously means you may not know how well (or how poor) your application performs under load. With today’s digitally savvy users, poor application performance is punished immediately with bad user ratings, lost customers, and lost business. Consistently good application performance is now essential to business success. This is where the quality of application performance enters the picture. Given the complexities of today’s modern application environments, applications should be tested early, often, and thoroughly in the development cycle using processes and solutions to fit your specific needs. 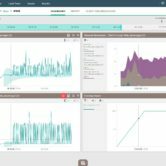 Key products in the Micro Focus performance engineering suite include HPE StormRunner Load, HPE LoadRunner, HPE Performance Center. 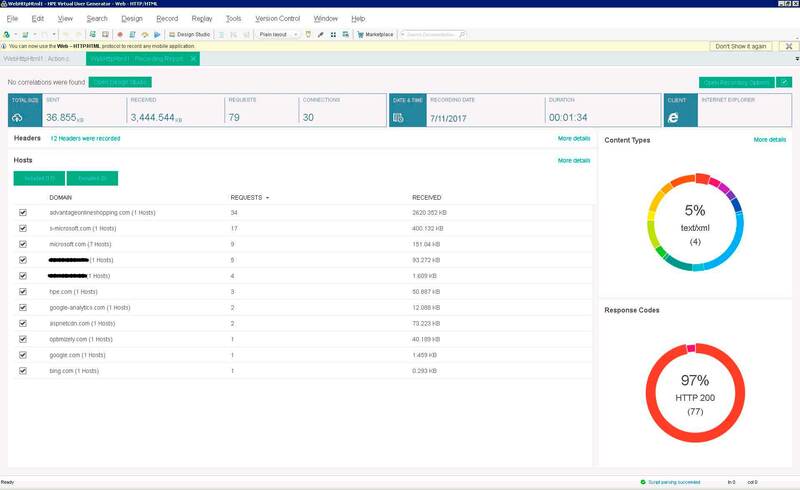 With HPE StormRunner Load, your software delivery team now has fast, easy access to cloud-based load testing resources that are always just a click away. It’s a simple, smart, and scalable approach to testing web and mobile apps. HPE LoadRunner is the industry standard for performance testing. 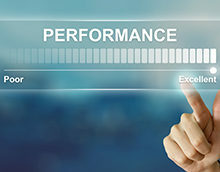 This application load testing software tool helps you gain an accurate picture of end-to-end system performance and identify and resolve issues before your application goes live. 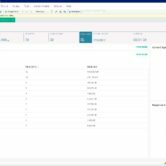 With Micro Focus LoadRunner, you can dramatically reduce the amount of time and skill required for scripting. 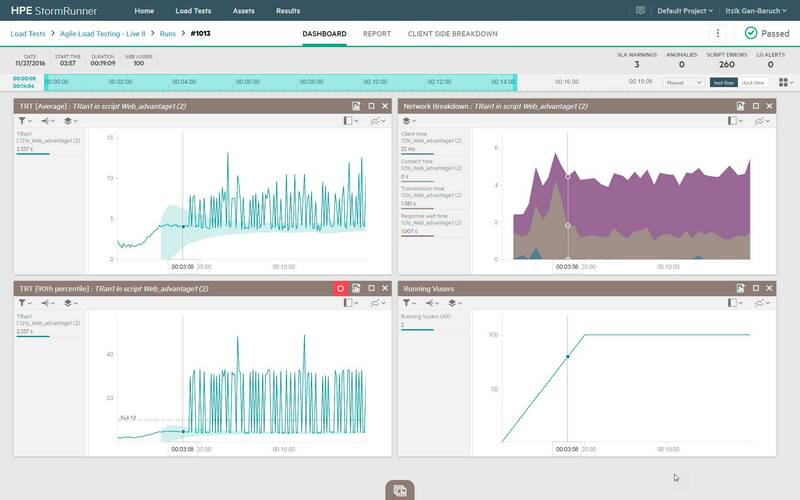 HPE Performance Center software is an enterprise-class performance engineering software suite, designed to facilitate standardization, centralization,global collaboration, and management of a performance engineering center of excellence. Effective testing needs to be accompanied by strong process that can work with waterfall, agile, and continuous development and deployment. Performance testing cannot be just another checklist item. Without good processes, performance testing will always be reactive instead of proactive, and executed too late in the development and testing cycles to be truly effective. Northway offers performance engineers with a structured performance testing methodology. Our best practices will help detect performance bottlenecks early in the testing cycle. Our goal is to provide immediate ROIand longer term solutions. Northway has been a leading provider of Performance testing services for over a decade. We are the leading experts when it comes to using HP’s LoadRunner in the Enterprise. Whether you are deploying a new web-based Rich Internet Application, a Citrix/Xenapp deployed application, Mobile applications, or packaged applications such as Hyperion, Oracle Financials, and SAP modules – Northway has the experience to handle it and the related challenges. Experience: We have more than 10,000 man hours of performance testing experience testing complex, multi-platform environments across various industries. Certifications: All our consultants are certified in Industry leading tools like HP’s LoadRunner and Performance Center. Deep Technical Expertise: With Engineering and Software development backgrounds, our trained consultants are intimately familiar with today’s complex technologies and testing challenges associated with them. Combine the power of the three tools with access to the industry’s largest community of testing practitioners and there’s no performance challenge that can’t be beat. Because performance matters.